CHRISTUS Shreveport-Bossier Health System announced it is launching a $43 million investment in the local community. The 24-month expansion project, called the Highland 100, kicked off in January at CHRISTUS Highland Medical Center, located at 1453 East Bert Kouns Industrial Loop, Shreveport. During construction, all hospital departments will remain open and operational. The Highland 100 plan includes a host of improvements and renovations. Major projects comprise rebuilding, relocating and doubling the size of the emergency room, adding additional inpatient rooms, expanding the cardiac catheterization lab, adding a dedicated entrance for cardiology patients, renovating waiting areas and patient rooms, and relocating outpatient physical therapy to a convenient standalone facility. The aggressive plan responds to a growing demand and the community’s evolving health-care needs. 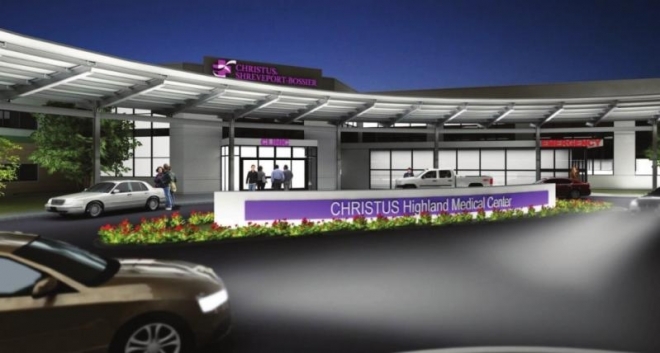 CHRISTUS chose a local contractor, Hand Construction, for the Highland 100 project. Hand Construction has worked with CHRISTUS on numerous projects over the past 30 years, most recently the building of CHRISTUS Bossier Emergency Hospital. Construction will occur in a phased approach, ensuring no interruption of health-care services. Palmer described it as a major project inside a living hospital.